Social work is a profession that works with individuals and their families to help provide, amongst other things, supportive counseling with the goal of enhancing their overall well-being. 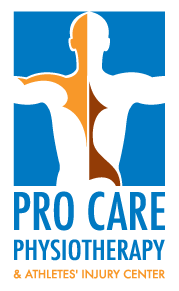 Pro Care Physiotherapy & Athletes’ Injury Center recognizes that for some individuals, some injuries can be life altering or even be the cause of an intense period of stress. Our hired social worker is a university graduate who has extensive training and experience in her health care field. If needed and requested by the patient, our social worker can become involved in the provision of one on one counseling and support.